These Term and Conditions are considered accepted by the purchaser upon issue of an invoice. Ownership of goods sold by Compass Hospitality Supplies Pty Ltd ("Compass") does not pass onto the customer until full payment is received for all outstanding invoices. All information provided on this website and in our mail order catelogue is the property of Compass and cannot be copied or adapted without permisson. This includes, but is not limited to, product images, designs and content. Products will not be exchanged due to incorrect choice. Defective or faulty items will be replaced or refunded in full, on the grounds notification and details of the defect are provided to Compass within 3 workingdays of delivery. Compass reserves the right to amend prices listed online or in the mail order catalogue prior to processing an order. The prices displayed are exclusive of GST and shipping cost, with shipping costs calculated at 'Checkout' upon completion of your order. The minimum order value (including shipping and GST) is $99. This allows Compass to apportion the shipping cost over a larger basket of good, thereby reducing the amount payable by our customers and guaranteeing the most competitive prices. Compass uses SSL software to ensure that payment information provided online, including credit card details, are secure. However, Compass does not accept any liability for loss or damage suffered as a result of unauthorised or fraudulent use of your credt card information by any third party. We make every effort to ensure goods are delivered within the estimated delivery times provided. Please see 'How long does delivery take?'. However, there may be circumstances beyond our control, which prevent us from meeting this target. In order to minimise delays and eliminate additional delivery charges, drivers will be authorised to leave goods if the premises is unattended and no alternate delivery instructions are provided at the time the order is placed. If there is an adjacent business that is open during standard operating business hours (Mon-Fri, 9am-5pm) that is willing to accept delivery on your behalf, this information must be provided at the time of order placement. Compass does not accept responsibility for loss, theft or damage where goods are left unattended at the premises or delivered to a nominated address. Free delivery is available to businesses in the Sydney Metropolitan area on certain days of the week. Please confirm with one of our friendly Compass staff when the free delivery day is for your area. 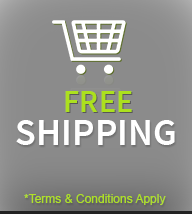 To qualify for free delivery, a customer must have a minimum spend of $200 (excl. GST) and all goods must be paid in full prior to delivery. Compass takes all necessary steps to ensure that the information provided on this website and in our mail order catalogue is accurate, complete and reliable. However, we make no representations or guaratees in the regard. It follows that Compass is not liable for any loss or damage suffered in reliance on the information supplied.